Madera Uniform is your reliable source for uniforms, supplies and the quality equipment needed to do your job. We offer an extensive selection of in-stock products with an experienced staff that recognize the importance of ensuring your uniform meets specifications, offer high quality embroidery and alterations, a great customer experience and competitive prices. 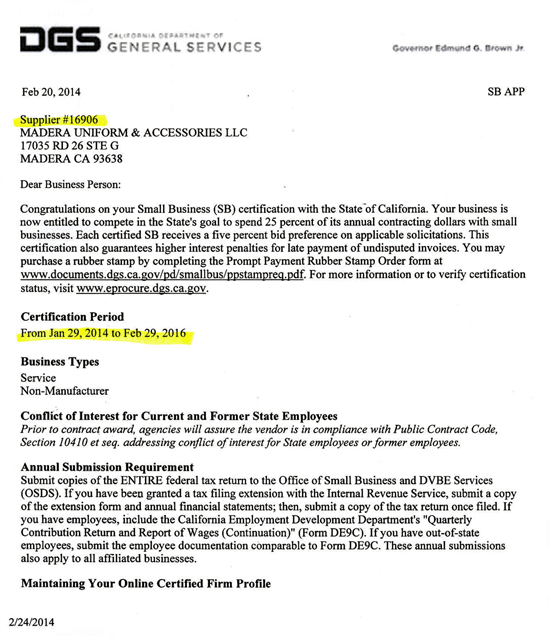 With 20 years experience in the industry, Madera Uniform is a Certified Small Business with the State of California (www.eprocure.dgs.ca.gov) operating from 3 locations, Madera, Fresno and Merced. We serve many Departments, members of the US Armed Forces, Law Enforcement and Public Safety Professionals who trust us to provide their essential gear and supplies.